I don’t know a single child who would turn down a slice of banana bread and my daughters are no exception. And for us parents, giving our little ones a slice of homemade banana bread when they get home from school feels just so, well, wholesome. 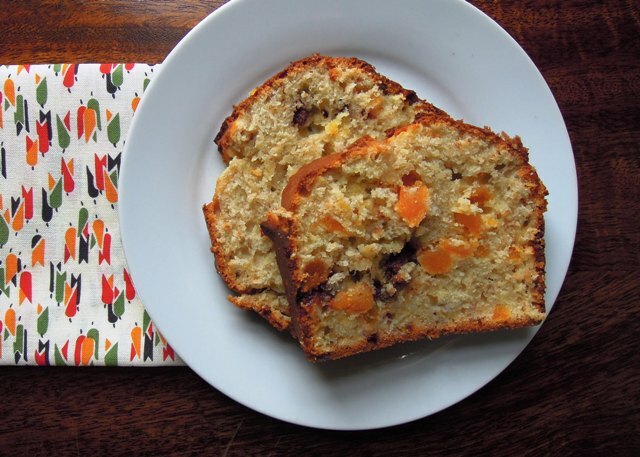 This is a lovely take on the standard banana bread; the addition of apricots keeps it extra moist, while the chunks of chocolate are a gooey treat. My recipe is loosely based on one I found for banana loaf in Baking with Kids by Linda Collister. It is indeed a great cake to bake with your children, who will no doubt enjoy mashing the banana, beating the eggs and licking the bowl at the end. Grease a 900g loaf tin with a little butter and line with greaseproof paper. Gently melt the butter over a low heat and set to one side to cool slightly. 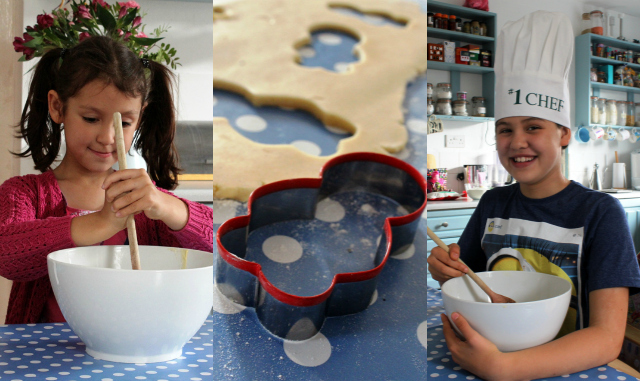 Sieve the flour, baking powder and salt into a mixing bowl, add the sugars and combine. Make a well in the middle. Pour the melted butter and eggs into the well, and add the mashed banana, chocolate and apricot. Mix everything together thoroughly. Spoon the mixture into your prepared tin and bake for 50 to 55 minutes. When it’s ready, the top should be a lovely golden brown and a skewer inserted into the centre comes out clean. 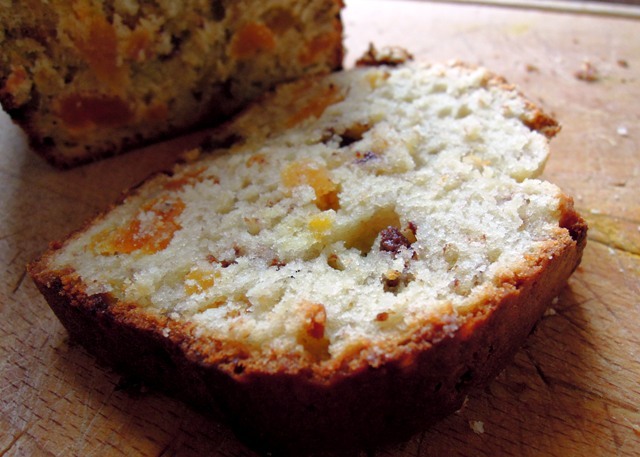 Allow the banana bread to cool completely on a wire rack before removing from the tin and peeling off the paper.